Classic Tudor in high demand Minikahda Vista with amazing mix of 1920's character and great updates! Charming curb appeal, spacious landscaped and fully fenced yard, and excellent outdoor space in huge deck with pergola and paver patio off newer 4 season porch. Interior features hardwood floors, cozy wood-burning fireplace, arched entries and alcoves, and dedicated dining space. Designer kitchen with solid surface counters, stainless steel appliances, mosaic tile backsplash, and tons of cabinet space. Upper level master suite with walk-in closet and updated 3/4 bath. Ample space in basement for entertainment center and workout area. Newer windows and furnace. 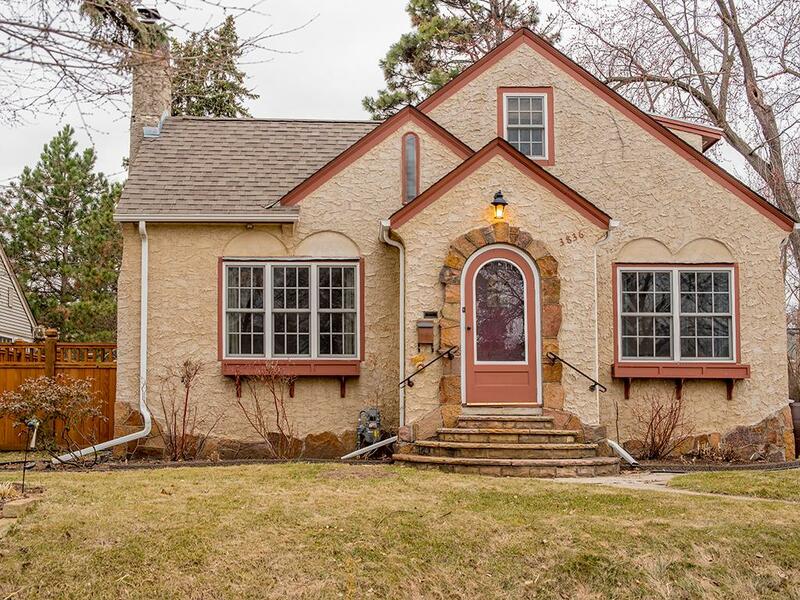 A++ location with convenient access to HW 100, Uptown and Downtown MPLS and close to 3 parks, the lakes, the amenities of Excelsior & Grand, Linden Hills, shops, restaurants, and more! Directions - Excelsior Blvd, South on Joppa Ave. S. to home.